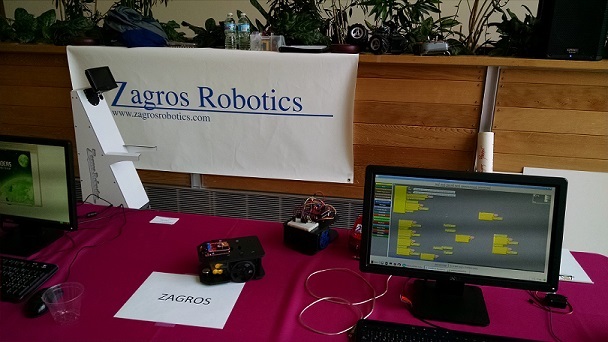 Zagros Robotics attended the 2nd St. Louis Raspberry Pi Jam at the Danforth Plant Science Center. 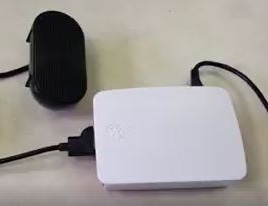 In addition to Zagros the event featured demonstrations from the STL Raspberry Pi Meetup Group, Arch Reactor, DDPSC Education Group, DDPSC Maker Group and the Brutnell and Nusinow Labs. 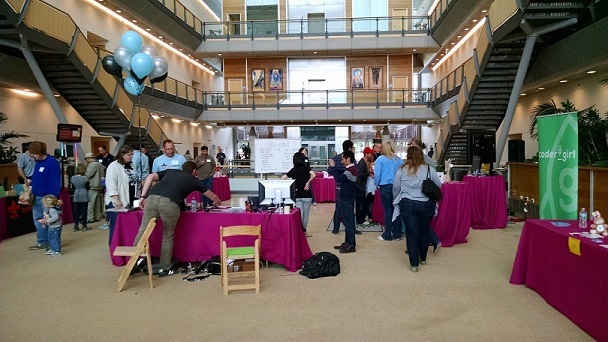 Several hundred people enjoyed the opportunity to see Raspberry Pis in dozens of projects. 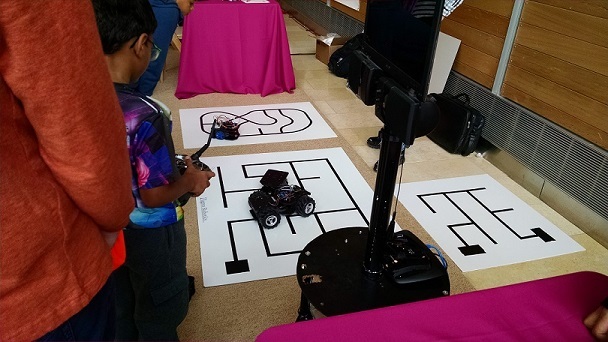 The Zagros Robotics booth included several robots including Gobbit Line Followers and Maze Solvers. Robo Waiter III also made an appearance. 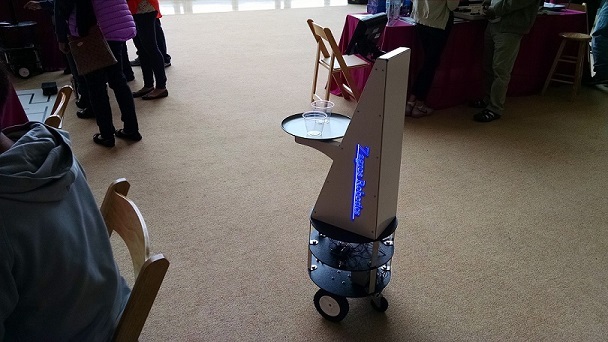 Robo Waiter III is based on a Rex 14 base and uses both an Arduino and Raspberry Pi.